Note: Picture adapted from Hello Magazine. As its Monday, we have another super giveaway for you all. The service is initially focused on date reminder and offering gift finder solutions; anything from birthdays, to anniversaries, parties, annual calendar events and so on. When you register with nudge-me.co.uk, they provide you with your own personal on-line calendar (My Calendar) in which to store all of your important dates. The calendar is linked to their Gift Finder service in whichhas over 50 different retail partners. Based on what you tell the site about each person in your ‘My People,’ they send you a virtual ‘nudge’ prior to the event. Not only that, but they provide you with a choice of gift recommendations tailored to each person based on that info. Couldn’t be simpler could it? They launched a new service on the site to members recently – the ReadyLists. These are a collection of downloadable checklists for all the important life events from moving home to having a baby, back to school and Christmas preparations even essential Holiday packing lists too…..
To enter, just follow the instructions within the widget below. Don’t forget to give yourself an even better chance of winning, by sharing the unique url provided on entry for more chances to get those costumes a’ sparklin’. If you wish to enter this giveaway, please read the KiddyCharts giveaway terms and conditions beforehand. This giveaway is open to all UK residents over 18. The giveaway ends at 11.59pm on Monday 21st October. 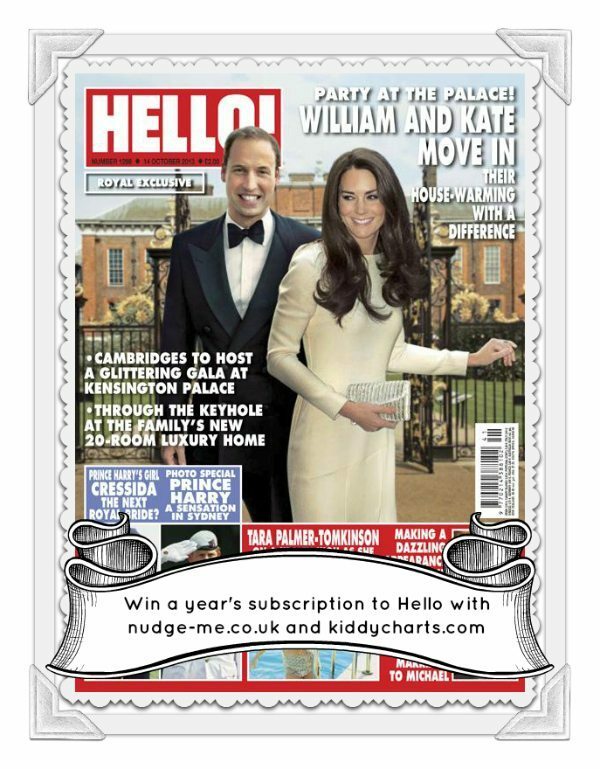 We have something special for those that like giveaways at Christmas too – if you want to get notice of our new KiddyCharts Advent Calendar for the Month of December, where we are going to have a new giveaway a day (Check the our advent calendar mock-up now if you want), then do join our mailing list. This is ONLY for news on the advent calendar, and a reminder when a new giveaway goes live. I like the 1657 chocolate collection. Spa day sounds great and a 2 for 1 too? A spa day is my dream…. A spa day would be nice! some Agent Provocateur Eau de Parfum!! amazing prize! Definitely spa weekend. I would love the Barbour jacket…. Would love a Spa day! I’d really love one of the cookery lessons! I’d like a Be Inspired Weekend spa day at a Hand Picked Hotel. I’d love to receive the ‘Cook and Dine’ Cookery Lesson at L’atelier des Chefs! The Agent Provocateur Eau de Parfum, 50ml looks good. I would like the Cook and Dine cookery lesson. Time on my own in a hotel, with a massage? The Spa Day sounds lovely!